Growing up my music of choice was rap. One of my all-time favorite rappers is Ice Cube. From his work in N.W.A. to his solo career to Westside Connection I would listen to his albums over and over again. 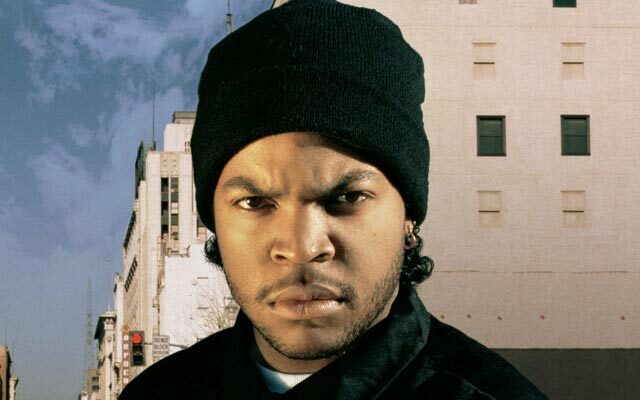 Not only did Ice Cube make a name for himself in the world of Hip-hop, but he started to work on the big screen. Seeing him in “Boyz in the Hood” and “Higher Learning” I was able to see some of his acting skills. When the film “Friday” came along I became an even bigger fan of his work. “Friday” was hilarious and to this day it is one of my favorite comedic films. Cube would venture out into directing and producing shows as well. 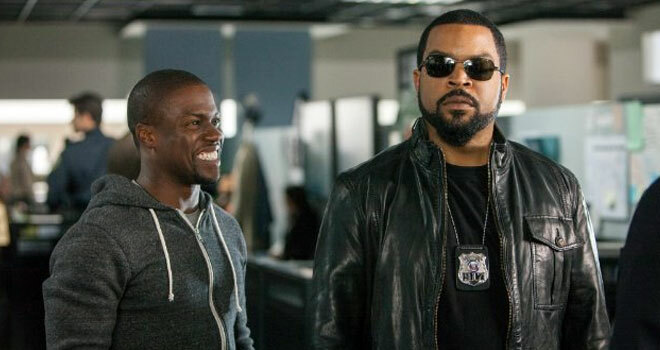 Now Ice Cube is working with director Tim Story again in the film “Ride Along.” The film centers on Ice Cube’s character James Payton, who is a police officer. James takes his sister’s boyfriend Ben Barber with him on his patrol to see if he is man enough to marry his sister. Barber is played by the very funny Kevin Hart. I had the great pleasure of talking with Ice Cube about “Ride Along,” Hip-hop, and if he prefers his rap career over acting. Art Eddy: “Ride Along” looks to have the classic buddy type of film theme to it. You and Kevin Hart look hilarious together. Was this project something you guys talked about doing together? Ice Cube: Yeah. This project has been on the shelf for more than ten years. It came across my desk years ago. My company Cube Vision, we had our eyes on it, but we never knew who was going to be the other guy. It fell to the wayside. Then my guy Matt got it to Will Packer. Will Packer loved it. He showed Tim Story, who just worked with Kevin Hart. That is how the team came together. AE: How good was it to be working with director Tim Story again? IC: Oh man. It is a dream. 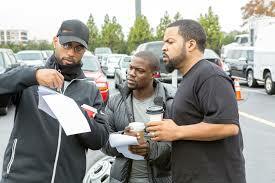 I worked with him before on “Barbershop.” He was a first time director. Even though he was such a cool dude to work with he was still learning the process. Now it has been years later and he has some great and big budget films under his belt as well as small budget films. He is a vet now. He is a pro at what he does. Working with him was one of the easiest and most comfortable experiences I had. AE: Not trying to jump the gun, but will there be some deleted scenes on the DVD that you wish made it into the film? IC: Oh yeah. There is always certain things that you wished was in the film, but tight is better than loose. We definitely used the funniest takes, but the other takes are funny in their own right. It will be cool to see how people feel when they see the whole thing. AE: You came into the spotlight as a rapper. There is not that much laughter and levity in rap. Yet in films like “Ride Along” and of course classics like “Friday” you have a gift to make people laugh. Did you always have the comedic side to you? IC: Always. Even when you listen to the music it is rough, but it still has a comedic element to it. It might be dark and twisted, but it still has that flavor. I think that is just part of how I grew up. Comedy was big. If you knew how to make people laugh you were loved in the neighborhood. To me that is just as a part of the neighborhood as crime, violence and drugs. Comedy goes hand in hand with it. So I always have been funny. I always had funny friends. I am fans of pretty much everybody that I put in my movies. So it would be just like how I would hang out with some of my funny friends. I got pretty good timing. Out of my friends I was the funniest one so, but people might not know that. AE: You are a rapper, actor, director, writer, and producer. Two things. One, how do find enough time in the day to do all these things? Second do you prefer one role over the others? IC: To me it is a trip because I find myself sitting around and being like damn I am not doing anything. I need to get busy. I need to figure something out. I love to create. When you are like that you don’t really rest on what has been done. You are caught up in what you are doing. When things are done it is really in my rear view mirror. I am now focused on what I am planning to do. The process is what I have fun with just as much as the final product. That is what keeps me working. The answer to the second question is that I love to do both. Both of them tap into different creative abilities. In music I can just do what I want to do. I can be creative or as uncreative as I want to be. For Hip-hop whatever I want to do I can do because I don’t have a label putting pressure on me to come up with a radio hit. That is freedom for an artist. That is fun. For movies I have to be a team player. I have to make sure that this whole machine is working. You hire people who are better than you at what they do. You work with them, motivate them, and let them do their thing. You let them be part of a team. You have to be a master motivator, which is a whole new way to create. AE: Is there one album in your great resume that you are most proud of? AE: “No Vaseline,” “Bow Down,” and I guess the list can go on and on for me for my favorite tracks of yours. Which album or track do you hear from fans that they love the most? IC: “It was a Good Day.” Hands down. People have claimed that as my biggest hit. It is cool. It is such a dope song. It is done in the spirit of the movie “Friday.” You think it is bad in the neighborhood until you have one of those days. AE: Yeah. Mess around and get a triple-double. IC: Yeah. You know it happens. To acknowledge it shows me that I am true to what I am doing. I was not just doing a gimmick or sensationalizing things. I was trying to give people a slice of life. People sometimes go under the impression that I grew up with money or that I didn’t come straight out the neighborhood. I did. I know what it is about. AE: Is there anyone that you would you like to have on your next album or work with on their next track? IC: No, not really. I don’t think like that. I am just trying to be on my own page. I am not a super callabo guy. I grew up when a rapper can hold his own. He could hold the whole album. You didn’t need all these guest appearances or collaborations. You listen to Big Daddy Kane and that is who you heard. I am from that tradition. So I usually have an album that doesn’t have a lot of features. Print article This entry was posted by Art Eddy III on January 16, 2014 at 12:50 pm, and is filed under Entertainment. Follow any responses to this post through RSS 2.0. Both comments and pings are currently closed.